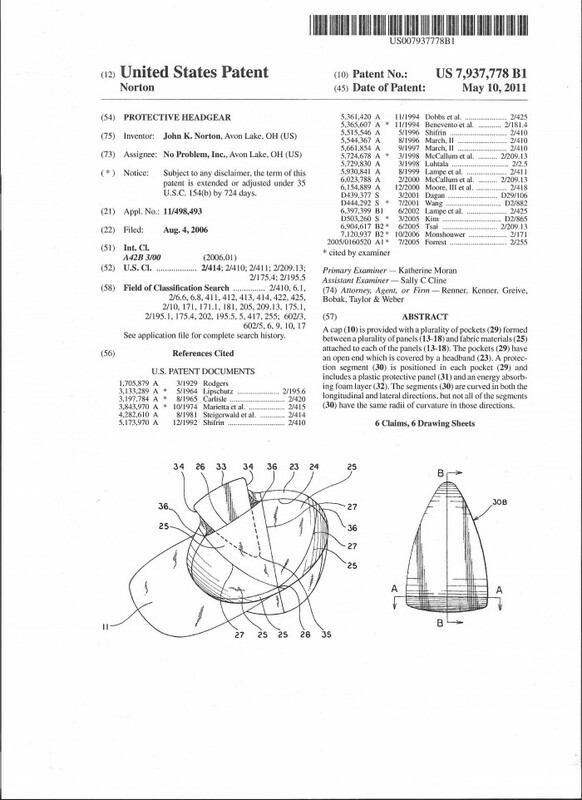 Please visit Link to view patent and description. 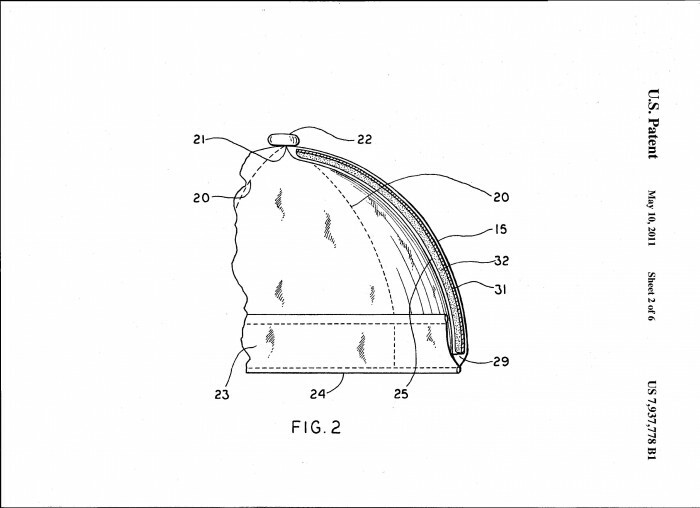 An impact-absorbing insert for use in protective headgear includes an exterior surface defining an interior volume. The exterior surface may be formed by a plurality of layers joined together at seams. The interior volume contains a filler material. An impact-absorbing insert assembly includes a plurality of inserts connected together. 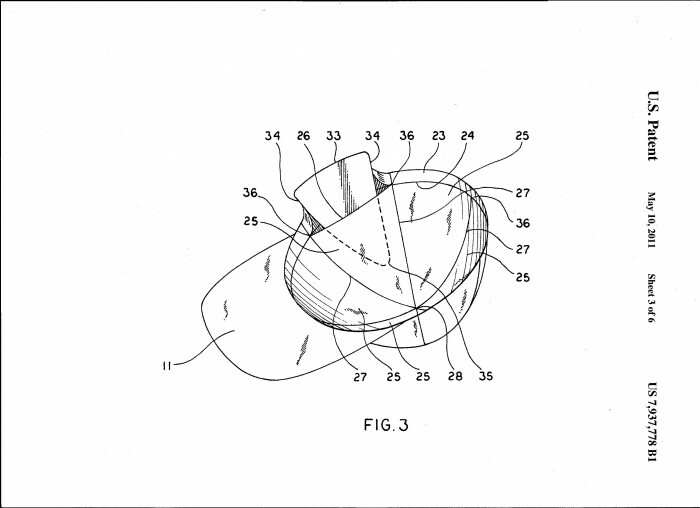 Protective headgear adapted to protect a user includes a plurality of impact-absorbing inserts received in pockets. Sale with Royalty of $2.00 per cap made. There are two patents which must be sold together at $25,000 each as they are a continuation in part. Visit Rocklidcaps.com to view both. 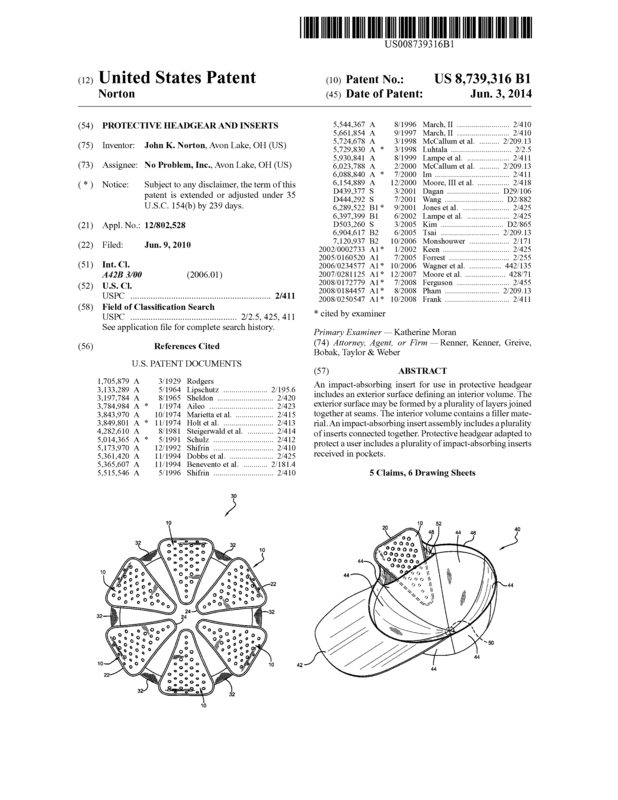 Page created at 2019-04-25 18:06:54, Patent Auction Time.